A grant for the development of an implantable biochip that could relay vital health information if a soldier is wounded in battle or a civilian is hurt in an accident. Nissan develops new technology for cleaner exhaust emissions. Scientists have identified a new technique for cleansing contaminated water and potentially purifying hydrogen for use in fuel cells, thanks to the discovery of a innovative type of porous material. A TV interview with the founder of Midatech, a nanoparticle manufacturer. Researchers have used the world's thinnest material to create sensors that can detect just a single molecule of a toxic gas. 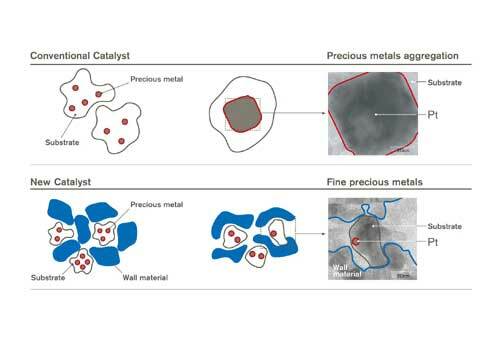 New company will create products with nano-features for industrial markets. Researchers have found a way to overcome a major stumbling block to developing successful insulin-cell transplants for people with type I diabetes, encapsulating them in spheres with nanoscale pores. The German Federal Ministry for Education and Research (BMBF) has issued a call for research projects that deal with nanotechnology applications in the construction industry. A new report presents the most comprehensive analysis to-date of two key Environmental Protection Agency laws that regulate the end-of-life management of nanotechnology. The U.S. Food and Drug Administration yesterday released a report that recommends the agency consider developing guidance and taking other steps to address the benefits and risks of drugs and medical devices using nanotechnology. A newly detected, hidden "string order" that extends over a length of 30 nanometers in a material that is otherwise apparently disordered, could have implications for the design of materials at the nanoscale, including those used for a developing concept known as quantum computing. To produce materials for modern electronics, small amounts of impurities are introduced into silicon - a process called doping. Scientists recently succeeded in being the first to implement doping in the field of molecular electronics. The California NanoSystems Institute at UCLA today announced a partnership with the integrated global biopharmaceutical company Abraxis BioScience Inc. to collaborate on nanobiotechnology research for the advancement of new technologies in medicine. Researchers have found a way of replacing the soap used to stabilize latex emulsion paints with nanoscale clay armour that can create a much more hard wearing and fire resistant paint. Imagine a chip, strategically placed in the brain, that could prevent epileptic seizures or allow someone who has lost a limb to control an artificial arm just by thinking about it. 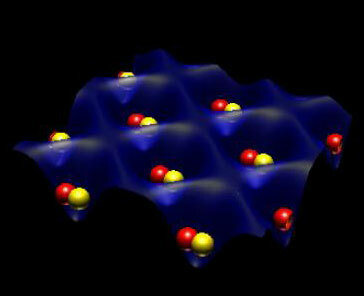 Advance is step toward quantum computing with neutral atoms.